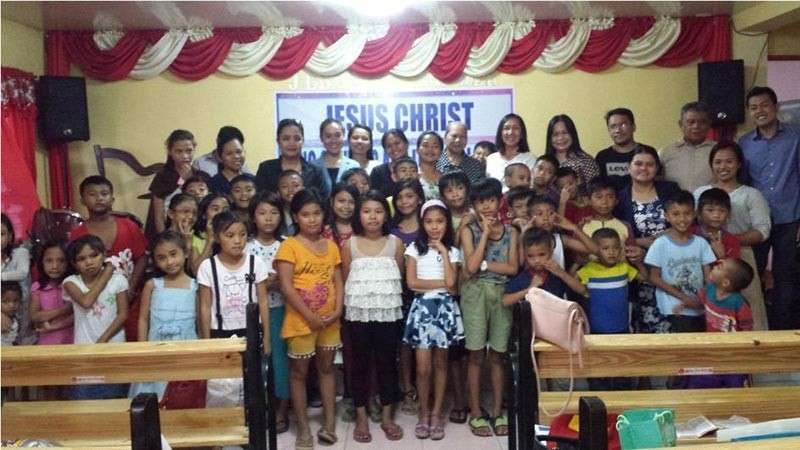 THE members of Apostolic Independent Missions-Mandaue Apostolic Church (AIM-MAC) recently celebrated the success of their feeding and spiritual education program with a recognition ceremony. AIM-MAC partnered with the officials of Barangay Ibabao-Estancia, Mandaue City and Ibabao-Estancia Elementary School for the program that started on Sept. 16, 2018 and ended on Feb. 24, 2019. The church, which is based in Sitio Papaya, Ibabao-Estancia, initiated the project, aiming to feed school children with nutritious food to improve their health. Volunteers also shared the gospel to nourish the pupils’ faith and develop their Christian values. Clark Anthony Arnado, one of the beneficiaries, was glad that he was able to complete the program because he learned a lot in understanding the gospel that was taught by the Bible teachers. He also learned to sing Christian songs and dance. The Bible teachers also taught the children about respecting their parents and loving their family first. During the recognition ceremony, Arnado was named as the program’s first placer; Lycel Jane Tudtud, second placer; and Zedric Arnado, third placer. Other awardees were Stephanie Lofranco, best in attendance; Lycel Jane, best in written examination and most cooperative; Alfred Talan, best in memory verse; Kate Veronica Tudtud, most behaved; John Mickien Jover, most cooperative; and Zedric, most punctual. AIM-MAC host pastor Leopoldo Quilaquil thanked Ibabao-Estancia Elementary School principal Carmen Santos and Barangay Captain Romulo P. Echavez Jr. for the support they gave to the program.